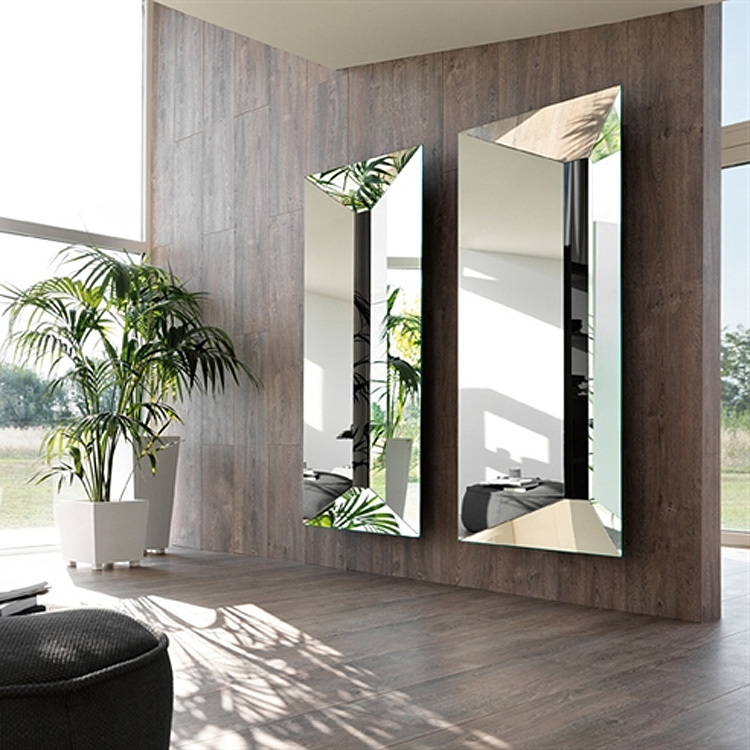 A highly contemporary mirrror where the element that would traditionally be the frame is the dominant feature. The angle of the mirror’s surfaces reflects the object from several points of view. Black glass central element.